The sports environment of Austin is rapidly growing and expanding. 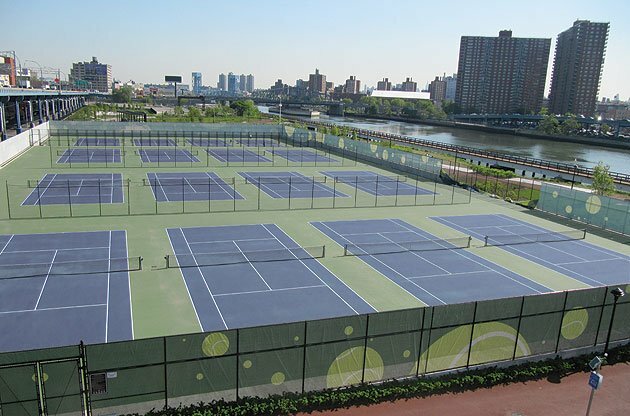 Over the years, there have been many tennis facilities built in the city to cater to players of all ages and backgrounds. Most of these centers are public and therefore open to any member of the community who wants to train. Whether you are attempting your first tennis hit, or are experienced and simply want to improve your skills, there are enough opportunities for you to train at these facilities. This public tennis complex is located at 2312 Shoal Creek Blvd Austin, TX. It’s by far one of the best sports centers in the city consisting of 8 courts that are in top condition, having been resurfaced just a few years back. The courts are also fenced off for extra privacy while training, and have exclusive gates leading to each one of them. Not to forget that they are well-lit and perfect for night play.Additionally, there’s a pro shop at the center where you can buy supplies for your game such as rackets, wristbands and tennis shoes. This magnificent park consists of 2 tennis hardcourts found along 6001 Manchaca Rd Austin, TX. The facility is very clean with plenty of parking spaces available for those who want to visit. There are also several benches found throughout the park where you can relax during your training breaks to catch a breath. Garrison is family-friendly and has enough facilities for other fun activities that you may want to enjoy, such as a play structure for children, BBQ Pits, picnic tables, and pool area. If you’re coming by car, it’s good to note that there’s usually very little traffic along Manchaca Rd compared to other parts of Austin. The South Austin Tennis Center is a public facility located along 1000 Cumberland Rd Austin, TX. The center consists of 8 blue tennis hardcourts that are clean and nicely kept, and the striking blue surface will make you feel as if you are playing tennis at the US Open. Moreover, players report that the courts have rarely experienced any issues with sagging nets or cracked surfaces thus making them ideal for training. They are also lighted so you can play well into the night without any issues. Additionally, there’s enough space between the baselines and fences so that you don’t run into the fence while chasing the ball during your lessons. This community park is situated along 3811 E 12th St Austin and lies just a short distance east of the Airport. It consists of several tennis courts that are rarely crowded even during the weekend, and are in top shape for tennis lessons. Even though the park has been in existence for quite some time now, it recently underwent an upgrading of facilities and now looks clean and neat. Apart from the tennis courts, there’s also a swimming pool available where you can take a dive if you wish after your training. The Old Stage Park is situated at 12819 Hymeadow Dr Austin, TX. 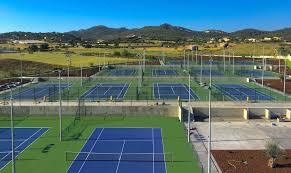 It’s a large recreational center with a well upkept fenced tennis court suitable for lessons. The tennis court is free to use on a first come- first serve basis, plus there’s a lot of parking available if you are coming in to train by car. Additionally, the park is pet-friendly meaning you can come along with your dog and let it play in the lush bark area as you train. Ready to up your game at a tennis court in Austin? You’ll find quality and affordable tennis lessons from our pros at Play Your Court. Whether you want private or shared lessons with your kids or others, Play Your Court has a variety of training packages that you can choose from depending on your needs. Our qualified coaches are a few clicks away!